July 5, 2016, 1:28 p.m.
By Laura Hazard Owen @laurahazardowen July 5, 2016, 1:28 p.m. 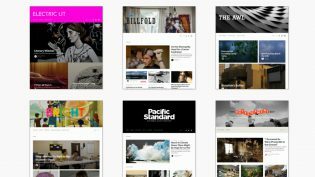 Most of the publishers using Medium would describe themselves as small, or small-ish. 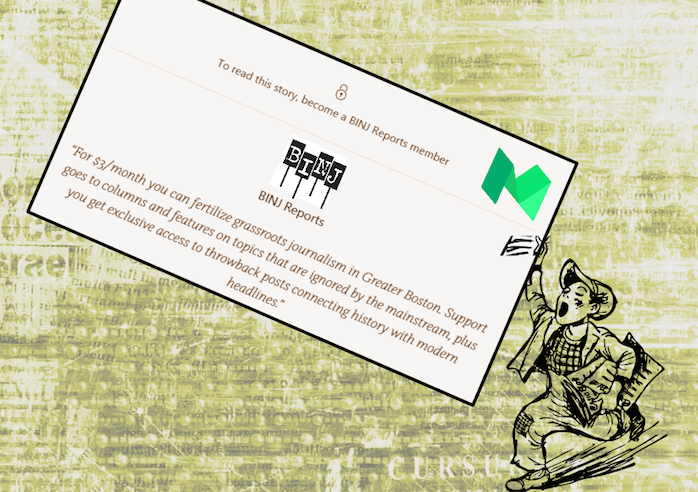 But sites like The Ringer and The Awl are huge compared to the Boston Institute for Nonprofit Journalism, which also began monetizing on Medium in June. Since launch, BINJ has released about 20 feature articles, and is also running four regular columns (Broken Records, for instance, covers public records in Massachusetts. “We like to cover the big stories that aren’t being covered,” Faraone told me. “That’s the alt-news adage. More than half the features we did were with first-time longform writers, and I’m really proud of that.” (Faraone was previously a staff writer for the Boston Phoenix, which was still running three to five longform features a week when it shut down in 2013.) Earlier this month, BINJ published “Unaccommodated: A BLS Story,” a 5,000-word feature about the trials of a special-needs student at Boston’s top public high school, Boston Latin. The reporting for that story took a year, and was published in a summer when the school is also facing allegations of discrimination against students of color. Another two-part feature investigated Boston’s segregated liquor licensing system, which has favored white liquor store and bar owners. We picked up 23 subscribers for a total of $143 a month in our first two weeks. (At this time we can’t see who our subscribers are or how much each person is pledging, but the average monthly donation (total haul divided by number of subscribers) is currently $6 per person, which is double the $3 minimum we’re asking.) We anticipate that number to grow substantially over the coming weeks and months, but already it’s enough to get us excited. That’s more than $1,700 a year. For a grassroots incubator that dropped 20 features and 100-plus columns — plus organized several events in the communities we cover — in year one with the first $70,000 we raised, that’s money we can make a real impact with. And if it grows into thousands every month that we can rely on…you do the math. Since much of BINJ’s content is hyperlocal or state-based, Faraone said he’d love a way to sort his Medium followers by location, “to know who our local readers are — though, understandably, Medium does not cater to that right now; it’s for reaching a larger audience.” He’s also looking forward to the time when readers will be able to subscribe on mobile. POSTED July 5, 2016, 1:28 p.m.